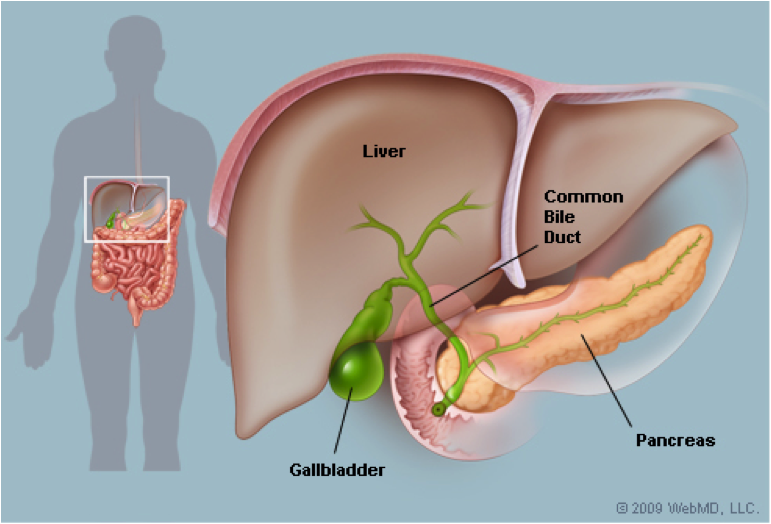 The gallbladder’s main function is to store and concentrate bile (produced by the liver), which helps the body break down and digest fats that you eat. It is attached to the liver, is about four inches in size, and is an oblong-shaped sack. Before you eat, the gallbladder is full and about the size of a pear. After a meal, it is flat and empty, like a deflated balloon. During digestion, hormones are excreted which activate muscles, which in turn, squeeze the gallbladder causing it to parcel out bile as it is needed for digestion. With all this information, it seems like the gallbladder is an integral part of the digestive system. However, you probably know many people who have had their gallbladders surgically removed. According to the National Institute of Health, more than 750,000 gallbladder removal procedures are being performed annually in the United States. How does one survive without it? Although it is ideal to keep a healthy gallbladder in place, you can live fine without one. Removing it doesn’t impair the production of needed bile, only its concentration and timed release into the small intestine. Without a gallbladder, diluted bile simply oozes in from the liver continually. Under normal conditions, the body functions quite adequately without the organ. Your doctor can usually diagnose gallbladder problems using non-invasive ultrasound or endoscopy. Consult with Dr. Johnson to decide the appropriate course of action for your case. Gallbladder surgery is one of the most commonly performed surgeries, and if you have severe gallbladder symptoms, your doctor may recommend surgery to remove the organ. When told you have to have surgery, it’s normal to want to choose the best doctor and the best hospital, and most of us would also want to choose the surgery method most apt to have us back to our “normal” lives as soon as possible. In the past, the only way to do this surgery was using the open method through a large incision, but for over twenty years now, the option of minimally-invasive laparoscopic surgery performed through three or four small incisions has been used frequently when case appropriate. Now, with state-of-the-art technology, approved by the FDA in 2012, surgeons can remove your gallbladder through one small opening. With single- incision traditional laparoscopy and da Vinci Single-Site Surgery, your surgeon operates through one small incision in the navel. This is often called virtually scarless surgery because of the results most people have. The da Vinci System features a magnified 3D high-definition vision system coupled with flexible Single-Site instruments. 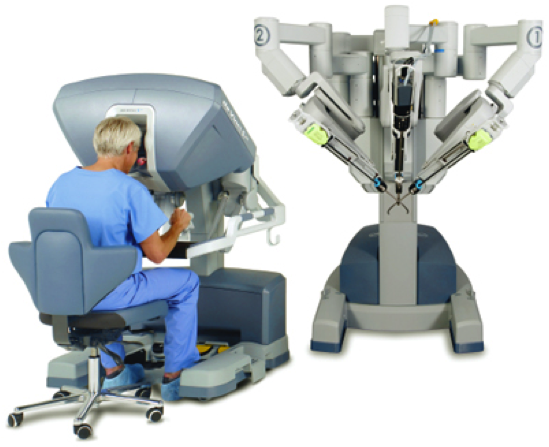 The surgeon sits comfortably at an ergonomically-correct console while miniature, robotic instruments mimic the surgeon’s movements precisely. Not only does this significantly lessen the surgeon’s likelihood of becoming fatigued, but the tiny robotic instruments are also more agile than the human hand. As with any surgery, there are risks; however, with minimally-invasive single-site surgery, the potential benefits include a lower rate of major complications, lower rates of having to convert to open surgery, less blood loss, less chance of infection, shorter hospital stays, and perhaps best of all, minimal pain as compared with other methods of surgery. For decades, laparoscopic or minimally invasive surgery was limited to thinner patients who had not had many previous surgeries due to scar tissue and other possible obstacles. Now, because of enhanced technology, obese patients and those who have had previous surgeries can be candidates for single-site gallbladder surgery. Consult with Dr. Johnson to see if you are a candidate for this type of surgery. Hernias are abnormal bulges created by a weakness or hole, usually in the abdominal wall. A hernia occurs when part of an internal organ or other body part protrudes through the hole. Some hernias are present at birth (congenital), while others develop during adulthood. There are many different types of hernias, and they can occur in various locations of the body such as the groin, upper part of the stomach, near the belly button, or near a surgical scar; however, the most common is when a portion of the intestine protrudes through a weak area in the muscular wall of the abdomen. This can cause an abnormal bulge under the skin of the abdomen. Hernias may enlarge due to increased pressure inside the abdomen, such as during straining, persistent coughing, obesity or pregnancy. According to the Mayo Clinic, hernias are more common in males and those with a family history. Diagnosis is usually straightforward, done simply by feeling and looking for the bulge, but since hernias don’t always produce troublesome symptoms, treatment is often a choice between watchful waiting and corrective surgery. The danger of the first is that sometimes the protruding tissue becomes trapped and strangulated and loses blood supply. This can cause many problems including nausea, vomiting, and the inability to pass gas or have a bowel movement. Surgery would be required immediately for this life-threatening condition. Although you can’t prevent the congenital defect that makes you susceptible to a hernia, you can do things to reduce strain on your abdominal muscles and tissues. For example, maintaining a healthy weight, emphasizing high-fiber foods in your diet that can help prevent constipation and straining, lifting heavy objects carefully by bending from your knees or avoiding heavy lifting altogether, and stopping smoking which besides having a role in many serious diseases, can be the cause of a chronic cough that can lead to or aggravate a hernia. Read more about hernias here. Those of you who have experienced gallbladder pain know there are few things more excruciating. Patients who have frequent gallbladder pain often opt to undergo gallbladder surgery to avoid another painful episode. Gallstones—crystalline formations made up of cholesterol and other components of bile made by the liver to digest fat, affect nearly 25 million Americans, and studies show that one million new cases of gallbladder stones are diagnosed each year. Thanks to the population’s overindulgence in refined sugars and fatty foods, that number is expected to grow even higher. Prior to the inception of minimally invasion surgery, gallbladder operations were major procedures that required the surgeon to make a five- to seven-inch incision across the abdomen. It was often six weeks before a patient could resume normal activities, and post surgery required a four day hospital stay. Today, patients have the option of the single site robotic surgery with the da Vinci Robotic System. With da Vinci Single-Site Surgery, your gallbladder is removed through a single small incision in your belly button similar to traditional single-port laparoscopy. Patients who choose da Vinci Single-Site Surgery experience virtually scarless results, and a much higher patient satisfaction than those with other types of gallbladder surgery. The da Vinci System features a magnified 3D high-definition vision system coupled with flexible Single-Site instruments. These features enable your doctor to operate with enhanced vision and precision. To talk to Dr. Johnson about learning more about a gallbladder single site robotic surgery, email him at vegasrobotdoc@gmail.com or call his clinic at (702) 369-7152.